1. Also .eu as part of the European Union. listen)) is a landlocked country in Central Europe. It is situated in the Carpathian Basin and is bordered by Slovakia to the north, Ukraine, and Romania to the east, Serbia, and Croatia to the south, Slovenia to the southwest and Austria to the west. The country's capital, and largest city, is Budapest. Hungary is a member of the European Union, NATO, the OECD, the Visegrád Group, and is a Schengen state. The official language is Hungarian, also known as Magyar, which is part of the Finno-Ugric group and is the most widely spoken non-Indo-European language in the European Union. Following a Celtic (after c. 450 BC) and a Roman (AD 9 – c. 430) period, the foundation of Hungary was laid in the late 9th century by the Hungarian prince Árpád, whose great-grandson Saint Stephen I was crowned with a crown sent by the pope from Rome in 1000 AD. The Kingdom of Hungary existed for 946 years,[note 1] and at various points was regarded as one of the cultural centres of the Western world. After about 150 years of partial Ottoman occupation (1541–1699), Hungary was integrated into the Habsburg Monarchy, and later constituted half of the Austro-Hungarian dual monarchy (1867–1918). A great power until the end of World War I, Hungary has lost about 70 percent of its territory, along with one third of its ethnically Hungarian population, and all its sea ports under the Treaty of Trianon, the terms of which have been considered excessively harsh by many in Hungary. The kingdom was succeeded by an authoritarian regime, and then a Communist era (1947–1989) during which Hungary gained widespread international attention during the Revolution of 1956 and the seminal opening of its border with Austria in 1989, thus accelerating the collapse of the Eastern Bloc. The present form of government is a parliamentary republic, which was established in 1989. Today, Hungary is a high-income economy. By 1006, Stephen had consolidated his power, and started sweeping reforms to convert Hungary into a Western feudal state. The country switched to using the Latin language, and until as late as 1844, Latin remained the official language of Hungary. Hungary became a powerful kingdom. Ladislaus I extended Hungary's frontier in Transylvania and invaded Croatia in 1091. The Croatian campaign culminated in the Battle of Gvozd Mountain in 1097 and a personal union of Croatia and Hungary in 1102, ruled by Coloman. Lands, countries kingdoms under control of Louis the Great. The Gothic-Renaissance Hunyad Castle in Transylvania (now Romania), built by king Charles I of Hungary. Western conquests of Matthias Corvinus. Women of Eger. Hungarians successfully defended the town from the Ottomans. The vast majority of the seventeen and nineteen thousands Ottoman soldiers in service in the Ottoman fortresses in the territory of Hungary were Orthodox and Muslim Balkan Slavs instead of ethnic Turkish people. Southern Slavs were also acting as akinjis and other light troops intended for pillaging in the territory of present-day Hungary. Francis II Rákóczi, leader of the uprising against Habsburg rule. Austria–Hungary drafted 9 million (fighting forces: 7.8 million) soldiers in World War I (over 4 million from the Kingdom of Hungary) on the side of Germany, Bulgaria and Turkey. The troops raised in the Kingdom of Hungary spent little time defending the actual territory of Hungary, with the exceptions of the Brusilov Offensive in June 1916, and a few months later, when the Romanian army made an attack into Transylvania, both of which were repelled. In comparison of the total army, Hungary's loss ratio was more than any other nations of Austria-Hungary. There could be a possible cause: the Hungarian soldiers were considered to be more trustworthy and disciplined than soldiers from other ethnic groups. In late 1944, Hungarian troops on the Eastern Front again experienced success at the Battle of Debrecen, but this was followed immediately by the Soviet invasion of Hungary and the Battle of Budapest. During the German occupation in May–June 1944, the Arrow Cross Party and Hungarian police deported nearly 440,000 Jews, mostly to Auschwitz. The Swedish Diplomat Raoul Wallenberg managed to save a considerable number of Hungarian Jews by giving them Swedish passports, but when the Soviets arrived, he was arrested as a spy and disappeared. Rudolf Kastner (original spelling Kasztner), one of the leaders of the Hungarian Aid and Rescue Committee, negotiated with senior SS officers such as Adolf Eichmann to allow a number of Jews to escape in exchange for money, gold, and diamonds. Other diplomats also organized false papers and safe houses for Jews in Budapest and hundreds of Hungarian people were executed by the Arrow Cross Party for sheltering Jews. The Danube Bend is a curve of the Danube near the city of Visegrád. The Transdanubian Mountains lie on the right bank (left side of the picture), while the North Hungarian Mountains on the left bank (right side of the picture). Hungary is divided in two by its main waterway, the Danube (Duna); other large rivers include the Tisza and Dráva, while Transdanubia contains Lake Balaton, a major body of water. The second largest thermal lake in the world, Lake Hévíz (Hévíz Spa), is located in Hungary. The second largest lake in the Carpathian Basin is the artificial Lake Tisza (Tisza-tó). Hungary has a continental climate, with hot summers with low overall humidity levels but frequent rainshowers and mildly cold snowy winters. Average annual temperature is 9.7 °C (49.5 °F). Temperature extremes are about 41.9 °C (107.4 °F) on 20 July 2007 at Kiskunhalas in the summer and −35 °C (−31.0 °F) on 16 February 1940 Miskolc-Görömbölytapolca in the winter. Average high temperature in the summer is 23 °C (73.4 °F) to 28 °C (82 °F) and average low temperature in the winter is −3 °C (26.6 °F) to −7 °C (19.4 °F). The average yearly rainfall is approximately 600 mm (23.6 in). A small, southern region of the country near Pécs enjoys a reputation for a Mediterranean climate, but in reality it is only slightly warmer than the rest of the country and still receives snow during the winter. Hungarian special forces soldiers (KMZ). JAS 39 of the Hungarian Air Force. .C-17 Under NATO Strategic Airlift Capability (SAC) program with Hungarian Air force marking and international staff. In 1997, Hungary spent about 123 billion HUF ($560 million) on defense. Hungary became a member of NATO on March 12, 1999. Hungary provided airbases and support for NATO's air campaign against Serbia and has provided military units to serve in Kosovo as part of the NATO-led KFOR operation. Hungary has sent a 300 strong logistics unit to Iraq in order to help the US occupation with armed transport convoys, though public opinion opposed the country's participation in the war. One soldier was killed in action due to a roadside bomb in Iraq. The parliament refused to extend the one year mandate of the logistics unit and all troops have returned from Iraq as of mid-January 2005. Hungarian troops are still in Afghanistan as of early 2005 to assist in peace-keeping and de-talibanization. Hungary will most probably replace its old GAZ 4x4 vehicles with the modern Iveco LMV types. Hungarian forces deploy the Gepárd anti-materiel rifle, which is a heavy 12,7 mm portable gun. This equipment is also in use by the Turkish and Croatian armed forces, among other armies. In a significant move for modernization, Hungary decided in 2001 to buy 14 JAS 39 Gripen fighter aircraft (the contract includes 2 dual-seater airplanes and 12 single-seaters as well as ground maintenance facilities, a simulator, and training for pilots and ground crews) for 210 billion HUF (about 800 million EUR). Five Gripens (3 single-seaters and 2 two-seaters) arrived in Kecskemét on March 21, 2006, expected to be transferred to the Hungarian Air Force on March 30. 10 or 14 more aircraft of this type might follow up in the coming years. Hungary has one of the heaviest and most qualified warship battalion in East-Central Europe, only Hungary operates rived-based military forces of the surrounding NATO-members. The Home Defence Pyrotechnician and Warship Battalion of the Hungarian Defence Forces based in Újpest Port, on the River Danube, Budapest. In the 2000s (decade), the army bought new minesweepers, restored or retired the old ones. On national holidays warships come along the River Danube in Budapest. According to the 2012 Global Peace Index, Hungary is one of the world's most peaceful countries (17th on the list). The private sector accounts for over 80% of GDP. Hungary gets nearly one third of all foreign direct investment flowing into Central Europe, with cumulative foreign direct investment totaling more than US$185 billion since 1989. It enjoys strong trade, fiscal, monetary, investment, business, and labor freedoms. The top income tax rate is fairly high, but corporate taxes are low. Inflation is low: it was on the rise in the past few years , but it is now starting to abate. Investment in Hungary is reported to be "easy", although it is subject to government licensing in security-sensitive areas. Foreign capital enjoys virtually the same protections and privileges as domestic capital. Total government spending is high. Many state-owned enterprises have not been privatized. Business licensing is a problem , as regulations are not applied consistently. According to the conservative think tank Heritage Foundation, Hungary's economy was 67.2% "free" in 2008, which makes it the world's 43rd-freest economy. Its overall score is 1% lower than last year, partially reflecting new methodological detail. Hungary is ranked 25th out of 41 countries in the European region, and its overall score is slightly lower than the regional average. The first steam engine of continental Europe was built in Újbánya – Köngisberg, Kingdom of Hungary (Today Nová Baňa Slovakia) in 1722. It was a Newcomen type engine, it served on pumping water from mines. Hungary is famous for its excellent mathematics education which has trained numerous outstanding scientists. Famous Hungarian mathematicians include father Farkas Bólyai and son János Bólyai, designer of modern geometry (non-Euclidian geometry) 1820–1823; Paul Erdős, famed for publishing in over forty languages and whose Erdős numbers are still tracked; and John von Neumann, a key contributor in the fields of Quantum mechanics and Game theory, a pioneer of digital computing, and the chief mathematician in the Manhattan Project. Many Hungarian scientists, including Erdős, von Neumann, Leó Szilárd, Eugene Wigner and Edward Teller emigrated to the US. Thirteen Hungarian or Hungarian-born scientists received the Nobel Prize, all of whom emigrated, mostly because of persecution of communist and/or fascist regimes. Until 2012 three individuals: Csoma, János Bolyai and Tihanyi were included in the UNESCO Memory of the world register as well as the collective contributions: Tabula Hungariae and Bibliotheca Corviniana. Contemporary, internationally well-known Hungarian scientists include: mathematician László Lovász, physicist Albert-László Barabási, physicist Ferenc Krausz, and biochemist Árpád Pusztai. Kálmán Tihanyi (co-) invented the modern cathode ray tube completely electronic television in (1928) called Radioscope and was therefore included in the Memory of the World Register-Europe and North America as the very first Hungarian. Keleti Railway Station, Budapest, the largest railway station in Hungary. Present-day regions in Europe where the Hungarian language is spoken. 93.6% of the population speak Hungarian, a Uralic language unrelated to any neighboring language and distantly related to Finnish and Estonian. The main minority group are the Roma. Other groups include: Germans, Slovaks, Croats and Bunjevcis, Romanians, Ukrainians, Serbs and Slovenes. A fringe theory that is well known by linguists is that the Hungarian language is a descendant of Sumerian. Mainstream linguists reject the Sumerian theory as pseudoscience. Hungarian has often been claimed to be related to Hunnish, since Hungarian legends and histories show close ties between the two peoples; also, the name Hunor is preserved in legends and (along with a few Hunnic-origin names, such as Attila) is still used as a given name in Hungary. Hungarian literature has recently gained some renown outside the borders of Hungary (mostly through translations into German, French and English). Some modern Hungarian authors have become increasingly popular in Germany and Italy especially Sándor Márai, Péter Esterházy, Péter Nádas and Imre Kertész. The latter is a contemporary Jewish writer who survived the Holocaust and won the Nobel Prize for literature in 2002. The older classics of Hungarian literature and Hungarian poetry have remained almost totally unknown outside Hungary. János Arany, a famous 19th century Hungarian poet is still much loved in Hungary (especially his collection of Ballads), among several other "true classics" like Sándor Petőfi, the poet of the Revolution of 1848, Endre Ady, Mihály Babits, Dezső Kosztolányi, Attila József and János Pilinszky. Other well-known Hungarian authors are László Krasznahorkai, Ferenc Móra, Géza Gárdonyi, Zsigmond Móricz, Gyula Illyés, Albert Wass and Magda Szabó. The Hungarian cuisine is a prominent feature of the Hungarian culture, just like the art of hospitality. Traditional dishes such as the world famous Goulash (gulyás stew or gulyás soup) feature prominently. Dishes are often flavoured with paprika (ground red peppers), a Hungarian innovation. Thick, heavy Hungarian sour cream called tejföl is often used to soften the dishes flavour. The famous Hungarian hot river fish soup called Fisherman's soup or halászlé is usually a rich mixture of several kinds of poached fish. Other dishes are chicken paprikash, foie gras made of goose liver, pörkölt stew, vadas, (game stew with vegetable gravy and dumplings), trout with almonds and salty and sweet dumplings, like túrós csusza, (dumplings with fresh quark cheese and thick sour cream). 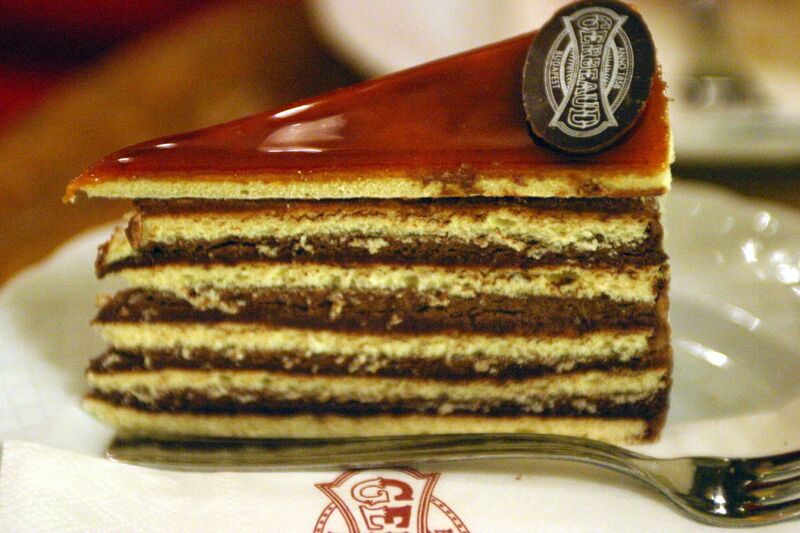 Desserts include the iconic Dobos Cake, strudels (rétes), filled with apple, cherry, poppy seed or cheese, Gundel pancake, plum dumplings (szilvás gombóc), somlói dumplings, dessert soups like chilled sour cherry soup and sweet chestnut puree, gesztenyepüré (cooked chestnuts mashed with sugar and rum and split into crumbs, topped with whipped cream). Perec and kifli are widely popular pastries. Tokaji, meaning "of Tokaj", or "from Tokaj" in Hungarian, is used to label wines from the wine region of Tokaj-Hegyalja in Hungary. Tokaji wine has received accolades from numerous great writers and composers including Beethoven, Liszt, Schubert and Goethe; Joseph Haydn's favorite wine was a Tokaji. Louis XV and Frederick the Great tried to outdo one another in the excellence of the vintages they stocked when they treated guests like Voltaire to some Tokaji. Napoleon III, the last Emperor of the French, ordered 30–40 barrels of Tokaji for the Court every year. Gustav III, King of Sweden, never had any other wine to drink. In Russia, customers included Peter the Great and Empress Elizabeth of Russia. Because of an advantageous geographical location, thermal water can be found with good quality and in great quantities on over 80% of Hungary's territory. Approximately 1,500 thermal springs can be found in Hungary. There are approximately 450 public baths in Hungary. The Romans heralded the first age of spa in Hungary, the remains of their bath complexes are still to be seen in Óbuda, to this day. The spa culture was revived during the Turkish Invasion who used the thermal springs of Buda for the construction of a number of bathhouses, some of which are still functioning (Király Baths, Rudas Baths). In the 19th century, the advancement in deep drilling and medical science provided the springboard for a further leap in bathing culture. Grand spas such as Gellért Baths, Lukács Baths, Margaret Island, and Széchenyi Medicinal Bath are a reflection of this resurgence in popularity. Only seven countries (US, USSR, UK, France, Italy, China, and Germany) have won more Summer Olympic gold medals than Hungary. At the all time total medal count for Olympic Games, Hungary reaches the 9th ranking out of 211 participating nations, with a total of 465 medals. See All-time Olympic Games medal table (2008 data). One of the reasons of this achievement is the Hungarians' success in water sports: in water polo the Hungarian team is the leading medal winner by a significant margin (See: Water polo at the Summer Olympics) and in swimming the men are fourth most successful overall while the women are eighth most successful overall. (See: List of Olympic medalists in swimming (men). List of Olympic medalists in swimming (women).) There has also been success in canoeing. Some of the world's leading best Sabre (fencing) athletes have historically hailed from Hungary. Hungary has remarkable football history, having won three Olympic titles, finishing runners-up in the 1938 and 1954 FIFA World Cups, and third in the 1964 UEFA European Football Championship. Hungary revolutionized the sport in the 1950s, laying the tactical fundamentals of Total Football and dominating international football with the remarkable Golden Team which included legends like Ferenc Puskás, top goalscorer of the 20th century, whom FIFA dedicated its newest award, the Puskás Award. The side of that era has the all-time highest Football Elo Ranking in the world, with 2166, and one of the longest undefeated runs in football history, remaining unbeaten in 31 games, spanning over more than 4 years and including matches such as the Match of the Century. ^ "Population Census 2001 – National and county data – Summary Data". Nepszamlalas.hu. http://www.nepszamlalas2001.hu/eng/volumes/06/00/tabeng/1/load01_10_0.html. ^ KSH . Retrieved 15 August 2012. 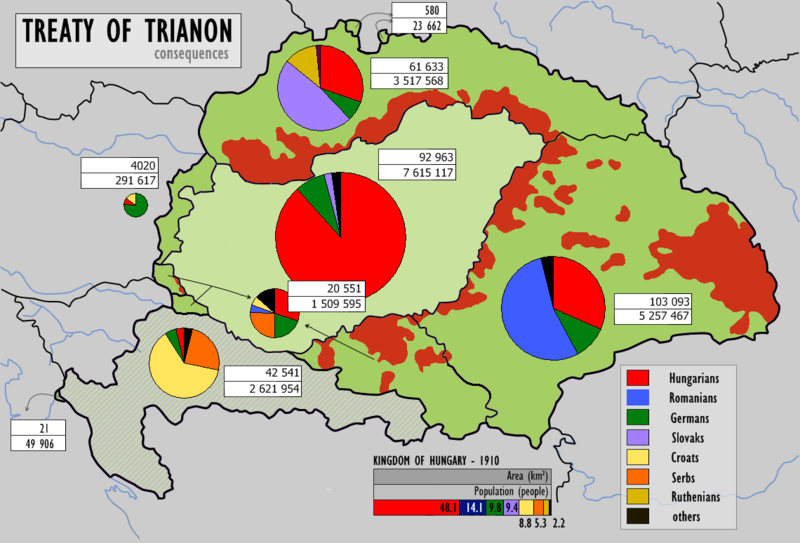 ^ Hungarian Central Statistical Office Census Data 2011. Retrieved 27 March 2012. ^ a b c d "Hungary". International Monetary Fund. http://www.imf.org/external/pubs/ft/weo/2012/01/weodata/weorept.aspx?sy=2009&ey=2012&scsm=1&ssd=1&sort=country&ds=.&br=1&pr1.x=49&pr1.y=2&c=944&s=NGDPD%2CNGDPDPC%2CPPPGDP%2CPPPPC%2CLP&grp=0&a=. Retrieved 18 April 2012. ^ "Human Development Report 2011". United Nations. 2011. http://hdr.undp.org/en/media/HDR_2011_EN_Table1.pdf. Retrieved 2 November 2011. ^ "Geography ::Hungary". cia.gov. https://www.cia.gov/library/publications/the-world-factbook/geos/hu.html. Retrieved 31 August 2011. ^ Globally speaking: motives for adopting English vocabulary in other languages – Google Books. Google Books. http://books.google.com/books?id=nlWU3CkTAi4C&lpg=PA82&ots=wiY3TdhJ5F&dq=%22largest%20non-indo%20european%22%20europe%20hungarian&pg=PA82#v=onepage&q=%22largest%20non-indo%20european%22%20europe%20hungarian&f=false. Retrieved 20 September 2010. ^ Mario D. Fenyo. "Literature and Political Change: Budapest, 1908–1918: Transactions of the American Philosophical Society, 1987". Books.google.com.au. http://books.google.com.au/books?id=wz8LAAAAIAAJ&pg=PA1&lpg=PA1&dq=%22Vienna,+Prague,+and+Budapest+were+not+only+the+cultural+centers+of+the+Austro-Hungarian+Empire%3B++by+the+end+of+the+nineteenth+century+these+three+cities+had+grown+into+the+cultural+centers+of+Europe,+on+a+par+with+Paris+or+London%22&source=bl&ots=cPJ_FPFSuI&sig=rUa6drhOgdChoebSvk9aTHLIjC8&hl=en&sa=X&ei=6fBjUOPJF4rsmAWVi4DQDQ&redir_esc=y#v=onepage&q=%22Vienna%2C%20Prague%2C%20and%20Budapest%20were%20not%20only%20the%20cultural%20centers%20of%20the%20Austro-Hungarian%20Empire%3B%20%20by%20the%20end%20of%20the%20nineteenth%20century%20these%20three%20cities%20had%20grown%20into%20the%20cultural%20centers%20of%20Europe%2C%20on%20a%20par%20with%20Paris%20or%20London%22&f=false. ^ "The plain facts – History". MTI. http://english.mti.hu/default.asp?cat=36&menu=6. Retrieved 11 November 2008. ^ Bernstein, Richard (9 August 2003). "East on the Danube: Hungary's Tragic Century". The New York Times. http://query.nytimes.com/gst/fullpage.html?res=9B07E3D91531F93AA3575BC0A9659C8B63&sec=&spon=&pagewanted=2. Retrieved 11 November 2008. ^ "Hungary". Encarta. http://encarta.msn.com/encyclopedia_761559741_11/Hungary.html#p68. Retrieved 12 November 2008. ^ "UNWTO World Tourism Barometer". World Tourism Organization. http://mkt.unwto.org/sites/all/files/docpdf/unwtohighlights12enlr_1.pdf. Retrieved 30 July 2012. ^ "Search – Global Edition – The New York Times". International Herald Tribune. 29 March 2009. http://www.iht.com/articles/reuters/2008/11/18/europe/OUKWD-UK-HUNGARY-CAVE.php. Retrieved 20 September 2009. ^ "The Avar Khaganate". Allempires.com. 31 May 2007. http://www.allempires.com/article/index.php?q=The_Avar_Khaganate. Retrieved 20 September 2009. ^ For example, the Abbot Regino of Prüm mentions the plains of the Pannons and the Avars; Kristó, Gyula op. cit. (1993) pp. 96. ^ a b A Country Study: Hungary. Federal Research Division, Library of Congress. http://lcweb2.loc.gov/cgi-bin/query/r?frd/cstdy:@field(DOCID+hu0013). Retrieved 6 March 2009. ^ Encyclopedia Americana (2000). 24.. 370: Grolier Incorporated. 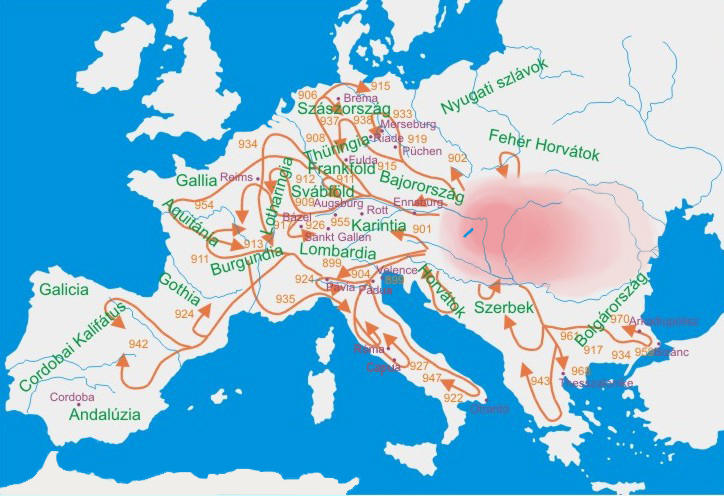 ^ a b "Magyar (Hungarian) migration, 9th century". Eliznik.org.uk. http://www.eliznik.org.uk/EastEurope/History/migration-map/hungarian-migration.htm. Retrieved 20 September 2009. ^ Peter B. Golden, Nomads and their neighbours in the Russian steppe: Turks, Khazars and Qipchaqs, Ashgate/Variorum, 2003. "Tenth-century Byzantine sources, speaking in cultural more than ethnic terms, acknowledged a wide zone of diffusion by referring to the Khazar lands as 'Eastern Tourkia' and Hungary as 'Western Tourkia.'" Carter Vaughn Findley, The Turks in the World History, Oxford University Press, 2005, p. 51, citing Peter B. Golden, 'Imperial Ideology and the Sources of Political Unity Amongst the Pre-Činggisid Nomads of Western Eurasia,' Archivum Eurasiae Medii Aevi 2 (1982), 37–76. ^ Stephen Wyley (30 May 2001). "The Magyars of Hungary". Geocities.com. Archived from the original on 21 October 2009. http://web.archive.org/web/20091021171416/http://geocities.com/egfrothos/magyars/magyars.html. Retrieved 20 September 2009. ^ Asia Travel Europe. "Hungaria Travel Information | Asia Travel Europe". Asiatravel.com. http://www.asiatravel.com/europe/hungaria/travelinfo.html. Retrieved 21 November 2008. ^ "Encyclopædia Britannica, 2002". Books.google.com. http://books.google.com/books?ei=E3iwToSrGMXMtAb6qZVd&ct=result&id=FIVUAAAAMAAJ&dq=hungary+croatia+1091&q=1091#search_anchor. Retrieved 2012-11-18. ^ "Marko Marelic: The Byzantine and Slavic worlds". http://www.korcula.net/history/mmarelic/byzant.htm. ^ "Hungary in American History Textbooks". http://www.hungarian-history.hu/lib/hunyadi/hu02.htm. ^ "Hungary, facts and history in brief". http://erwin.bernhardt.net.nz/hungary/hungaryfacts.html. ^ Ladislav Heka (October 2008). "Hrvatsko-ugarski odnosi od sredinjega vijeka do nagodbe iz 1868. s posebnim osvrtom na pitanja Slavonije" (in Croatian). Scrinia Slavonica 8 (1): 152–173. ISSN 1332-4853. Retrieved on 16 October 2011. ^ A concise history of Hungary – Google Books. Google Books. http://books.google.co.uk/books?ct=result&id=y0g4YEp7ZrsC&dq=%22B%C3%A9la+III%22+annual+revenue&pg=PA46&lpg=PA46&sig=ACfU3U2STdXJyC_RFJp9Ipb3Rw4SmsrWww&q=ladis#PPA28,M1. Retrieved 20 September 2009. ^ "Hungarianhistory.com" (PDF). http://www.hungarianhistory.com/lib/autonomy/komlossy.pdf. Retrieved 25 November 2010. ^ cs. "National and historical symbols of Hungary". Nemzetijelkepek.hu. http://www.nemzetijelkepek.hu/onkormanyzat-jaszbereny_en.shtml. Retrieved 20 September 2009. 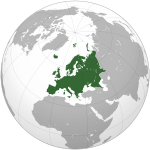 ^ a b "Hungary – Britannica Online Encyclopedia". Britannica.com. http://www.britannica.com/EBchecked/topic/276730/Hungary#tab=active~checked%2Citems~checked&title=Hungary%20--%20Britannica%20Online%20Encyclopedia. Retrieved 21 November 2008. ^ "Hungary – The Bibliotheca Corviniana Collection: UNESCO-CI". Portal.unesco.org. Archived from the original on 18 March 2008. http://web.archive.org/web/20080318044516/http://portal.unesco.org/ci/en/ev.php-URL_ID=15976&URL_DO=DO_TOPIC&URL_SECTION=201.html. Retrieved 21 November 2008. ^ "Hungary – Renaissance And Reformation". Countrystudies.us. http://countrystudies.us/hungary/9.htm. Retrieved 20 September 2009. ^ "A Country Study: Hungary". Geography.about.com. http://geography.about.com/gi/dynamic/offsite.htm?site=http://lcweb2.loc.gov/frd/cs/hutoc.html. Retrieved 20 September 2009. ^ Csepeli, Gyorgy (2 June 2009). "The changing facets of Hungarian nationalism – Nationalism Reexamined | Social Research | Find Articles at BNET". Findarticles.com. http://findarticles.com/p/articles/mi_m2267/is_n1_v63/ai_18501094/. Retrieved 20 September 2009. ^ "Ch7-1" (PDF). http://www.hungarian-history.hu/lib/unmaking/part1-7.pdf. Retrieved 20 September 2009. ^ "United States Holocaust Memorial Museum; Holocaust Encyclopedia". Ushmm.org. http://www.ushmm.org/wlc/en/index.php?ModuleId=10005458. Retrieved 20 September 2009. ^ Bilsky, Leora (2004): Transformative Justice : Israeli Identity on Trial (Law, Meaning, and Violence), University of Michigan Press. ^ Alfred J. Rieber, Forced migration in Central and Eastern Europe, 1939–1950, Routledge, 2000, p. 50 Google Books – "A presidential decree imposing an obligation on individuals not engaged in useful work to accept jobs served as the basis for this action. As a result, according to documentation in the ministry of foreign affairs of the USSR, approximately 50,000 Hungarians were sent to work in factories and agricultural enterprises in the Czech Republic." ^ "Man of the Year, The Land and the People". Time. 7 January 1957. http://www.time.com/time/magazine/article/0,9171,808898-1,00.html. Retrieved 9 October 2006. ^ "Granville/ frm" (PDF). http://www.tamupress.com/product/First-Domino,4091.aspx. Retrieved 20 September 2009. ^ "Hungary's 'forgotten' war victims". BBC News. 7 November 2009. http://news.bbc.co.uk/2/hi/programmes/from_our_own_correspondent/8347146.stm. Retrieved 4 February 2010. ^ Hungary's 1956 brain drain. BBC News. 23 October 2006. ^ Andrew Speedy. "Hungary". Fao.org. http://www.fao.org/ag/agp/agpc/doc/Counprof/Hungary/hungary.htm. Retrieved 21 November 2008. ^ "Hungary ranked sixth in world for environmental protection". Caboodle.hu. 10 December 2007. http://www.caboodle.hu/nc/news/news_archive/single_page/article/11/hungary_rank-1/. Retrieved 29 May 2010. ^ "Hussar". Encyclopædia Britannica. Encyclopædia Britannica, Inc.. 2008. http://www.britannica.com/EBchecked/topic/277525/hussar. Retrieved 15 August 2008. ^ By MTI (7 February 2011). "Hungary eurozone entry "unimaginable" before 2020, says PM Orbán". Realdeal.hu. http://www.realdeal.hu/20110207/hungary-eurozone-entry-unimaginable-before-2020-says-pm-orban. Retrieved 18 August 2012. ^ "Hungary has surpassed worst part of financial crisis: PM". Eubusiness.com. 20 July 2009. http://www.eubusiness.com/news-eu/1225823530.76. Retrieved 20 September 2009. ^ Hungary’s Recession Deepens on Plunging Export Demand. Bloomberg.com. 9 June 2009. ^ a b c McNamara, Sally. "Index of Economic Freedom". Heritage.org. http://www.heritage.org/research/features/index/country.cfm?id=Hungary. Retrieved 25 November 2010. ^ "Hungary GDP grows 1.4% yr/yr in Q4, up 1.7% in 2011". BBJ. http://www.bbj.hu/economy/hungary-gdp-grows-14percent-yr-yr-in-q4-up-17percent-in-2011_62619. Retrieved 15 February 2012. ^ Simon, Zoltan; Balazs, Edith (25 November 2011). "Hungary Debt-Grade Cut to Junk Boosts Need for IMF as Rate Pressure Rises". Bloomberg. http://www.bloomberg.com/news/2011-11-24/hungary-s-credit-rating-cut-to-junk-by-moody-s-after-last-minute-imf-plea.html. ^ The Contribution of Hungarians to Universal Culture (includes inventors), Embassy of the Republic of Hungary, Damascus, Syria, 2006. ^ coach. CollinsDictionary.com. Collins English Dictionary - Complete & Unabridged 11th Edition. Retrieved November 11, 2012. ^ a b "Techline Otto Blathy, Miksa Déri, Károly Zipernowsky". International Electrotechnical Commission. http://www.iec.ch/cgi-bin/tl_to_htm.pl?section=technology&item=144. Retrieved 20 September 2009. ^ "Population Census 2001 – National and county data – Summary Data". Nepszamlalas.hu. http://www.nepszamlalas.hu/eng/volumes/06/00/tabeng/1/load01_10_0.html. Retrieved 21 November 2008. ^ "Social values, Science and Technology" (PDF). http://ec.europa.eu/public_opinion/archives/ebs/ebs_225_report_en.pdf. Retrieved 22 June 2011. ^ "18. Demographic data – Hungarian Central Statistical Office". Nepszamlalas.hu. http://www.nepszamlalas.hu/eng/volumes/18/tables/load1_26.html. Retrieved 21 November 2008. ^ Travel Hungary for Smartphones and Mobile Devices. Incl. Budapest, Debrecen .... MobileReference. http://books.google.co.uk/books?id=XCe-grzP4swC&lpg=PT77&dq=.%20Orthodox%20Christianity%20in%20Hungary%20has%20been%20the%20religion%20mainly%20of%20some%20national%20minorities%20in%20the%20country%2C%20notably%2C%20Romanians%2C%20Rusyns%2C%20Ukrainians%2C%20and%20Serbs&pg=PT77#v=onepage&q&f=false. broken? ^ "List". Nav.gov.hu. http://www.nav.gov.hu/data/cms226637/17_melleklet_OGY_2011.pdf. Retrieved 2012-11-18. ^ "ATV.hu – Vidám Vasárnap". http://atv.hu/musoroldal/vidam_vasarnap. Retrieved 7 June 2012. 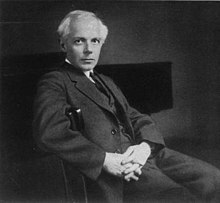 ^ "Vidám Vasárnap". http://www.vidamvasarnap.hu/. Retrieved 7 June 2012. ^ "Budapest Dohany street Great Synagogue – the largest synagogue in Europe". Greatsynagogue.hu. http://www.greatsynagogue.hu/gallery_syn.html. Retrieved 18 August 2012. ^ Opinion on Act CCVI/2011: Retrieved 26 March 2012. ^ "General information on various student flats and building types in Budapest". Budapest Corner. http://budapestcorner.com/index.php/flats/general-information. Retrieved 11 December 2010. "Every experiment, made from Hungarian antedecents and on Hungarian soil, to create a conscious musical culture (music written by composers, as different from folk music), had instinctively or consciously striven to develop widely and universally the musical world of the folk song. Folk poetry and folk music were deeply embedded in the collective Hungarian people’s culture, and this unity did not cease to be effective even when it was given from and expression by individual creative artists, performers and poets." ^ "Szabolcsi". Mek.oszk.hu. http://mek.oszk.hu/02100/02172/html/index.html. Retrieved 20 September 2009. ^ "Sulinet: Magyar növény-e a paprika?". Sulinet.hu. http://www.sulinet.hu/tart/fcikk/Kjc/0/23144/1. Retrieved 21 November 2008. ^ "Hungary (Magyarország) – spa resorts & hotels". Visitspas.eu. http://www.visitspas.eu/hungary/. Retrieved 18 August 2012. ^ "Herend Porcelain Manufactory Ltd". Herend.com. http://www.herend.com/. Retrieved 20 September 2009. ^ "FIE 2009–2010 men's rankings". Fie.ch. http://www.fie.ch/Competitions/RankingList.aspx?param=8C508173B39155DD53B81E624647082B999A7254268EA043313A21E19F3CCE115928F31266BFED5C96744EFE404921371BA0B553CB9419D947CC609C9FC6CCFB48C6AE112ABA5A4EB917D1B7B1AFEA73D9301125242F40950B39007F8B30803B1428FD85451599C7E8B640F55FBB99F96E85563733B996F4DA086222E241E75C. Retrieved 22 June 2011. ^ "FIE 2009–2010 women's rankings". Fie.ch. http://www.fie.ch/Competitions/RankingList.aspx?param=F822EFF311A4B9B772C67048D9DA32F4B0EED82CC9D791272D364D08FDA7CEAE08236B030B5BAF7869033790E5CBFE0B1DE4945E6BF24D1B417CA444D76B51ABFDBEC84449C9BB34B6AC942A1FF403A3D9301125242F40950B39007F8B30803B1428FD85451599C7E8B640F55FBB99F96E85563733B996F4DA086222E241E75C. Retrieved 22 June 2011. ^ "FIFA President: FIFA to help the Galloping Major". FIFA. 12 October 2005. Archived from the original on 7 October 2006. http://web.archive.org/web/20061007122035/http://www.fifa.com/en/organisation/president/index/0,4095,110412,00.html?articleid=110412. Retrieved 17 November 2006. ^ "Coronel Puskas, el zurdo de oro" (in Spanish). AS. 17 November 2006. http://www.as.com/articulo/Futbol/Coronel/Puskas/zurdo/oro/dasftb/20061117dasdasftb_2/Tes/. Retrieved 17 November 2006. ^ Mackay, Duncan (13 October 2005). "Lineker tees up another nice little earner". The Guardian (London). http://sport.guardian.co.uk/golf/story/0,10069,1590809,00.html. Retrieved 17 November 2006. ^ "Blatter unveils FIFA Puskas Award". Fifa.com. 21 October 2009. http://www.fifa.com/classicfootball/awards/gala/news/newsid=1120835.html. Retrieved 22 June 2011. ^ "Hungary 3–2 Greece: Euro champions stunned". ESPN. 24 May 2008. http://soccernet.espn.go.com/report?id=238244&cc=5739. Retrieved 22 June 2011. ^ "Hungary 3–1 Italy: World Champions stunned". ESPN. 22 August 2007. http://soccernet.espn.go.com/report?id=223003&cc=5739. Retrieved 22 June 2011. This page uses content from the English language Wikipedia. The original content was at Hungary. The list of authors can be seen in the page history. As with this Familypedia wiki, the content of Wikipedia is available under the Creative Commons License.